The latest real-estate research report by Magicbricks, titled PropIndex for April-June 2017 quarter reveals a positive outlook for the realty market in India in the coming months. According to the report, real estate sector in India may see a strong turnaround in 2017 as 55percent of the 750 localities across 14 major cities witnessed an average price increment of 2.8percent in April-June 2017 quarter. At the city level, Hyderabad, Chennai and Bangalore had a perceptible increment in weighted average price. Hyderabad realty market moved up by 2percent, while Bengaluru and Chennai by 1percent each. The localities that witnessed an incremental price hike in the April-June quarter account for 52percent of property searches and 54percent of properties listed on Magicbricks, hence indicating a trend that important localities from both demand and supply perspective across India witnessed a price increase. "Our latest Magicbricks PropIndex for April-June 2017 reveals that the quarter has remained positive as 55percent of the 750 localities that we cover, witnessed an average price increase of 2.8percent. This is in contrast to our previous Magicbricks PropIndex for Jan-Mar 2017 that had stated that the overall realty market scenario remained weak. The Apr-Jun PropIndex also suggests that user driven markets, which did not see significant price increments during the boom period and also had lesser issues due to project delays, are doing relatively well. Among the 14 Indian cities, Hyderabad, Chennai and Bengaluru have emerged as the performing markets," said Sudhir Pai, CEO, Magicbricks. 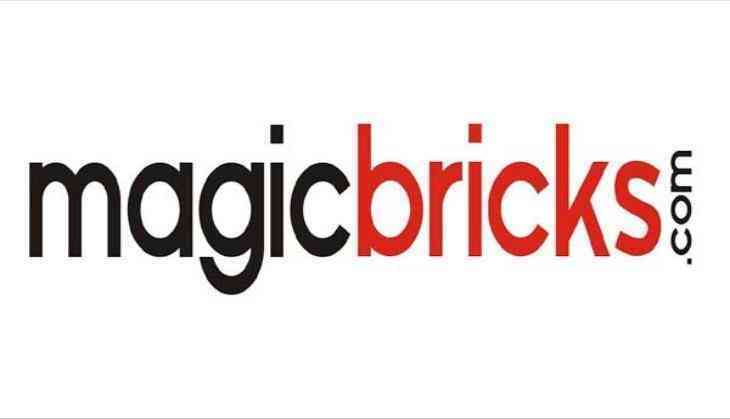 Magicbricks PropIndex also revealed encouraging signs of price increment in affordable and lower-mid segments that comprise 65percent of the 750 localities. While 55percent localities in affordable segment had price increment, it was 56percent in the lower-mid segment. Of the 14 cities covered, nine cities on average had price increment across 60percent localities in lower-mid segment. Marginal price movement in both these categories marks the return of consumer interest and transaction activity and also augurs well for the industry. Magicbricks PropIndex also stated that price level in other cities were practically stagnant or witnessed minor variation. In North, Greater Noida had the highest quarterly price decline followed by Ghaziabad, Noida, Delhi and Gurgaon. Pune and Thane in western India had marginal price decline while other cities like Mumbai, Navi Mumbai and Ahmedabad either had marginal price increment or were stagnant. In terms of budget segments, 63percent premium localities across most cities had price decline. This was more prevalent in the north Indian cities of Delhi, Gurgaon and Noida, where more than 75percent premium localities, had price decline. Premium segment in Pune as well witnessed price decline across more almost 67percent localities. PropIndex also stated positive price movement in the Under-Construction (UC) property segment. Price of UC properties across 61percent localities was either stable or saw a marginal increment. In comparison, price of Ready-to-move (RM) properties declined in 47percent localities and was stable in only 2percent localities.